Star Sports to broadcast live coverage of IPL – Indian Premier League 2018 in India and its subcontinent (Sri Lanka, Bangladesh, Bhutan, Maldives, and Nepal) countries; all matches streamed live on Hotstar digital platform (Website, App). Star India has bagged IPL media rights for a massive amount INR 16,347.50 crores for a period of five years (2018-2022), they acquired TV and OTT (Audio, Video, and other media services via the internet) rights. 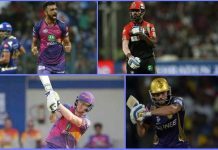 BeIN Sport have TV rights for live coverage of IPL 2018 in the Middle East and North Africa (MENA) Countries, here are the list – Algeria, Bahrain, Egypt, Iran, Iraq, Israel, Jordan, Kuwait, Lebanon, Libya, Mauritania, Morocco, Oman, Palestine, Qatar, Saudi Arabia, Sudan, Syria, Tunisia, UAE and Yemen. Cricket viewers in Bangladesh can watch 11th edition of Indian Premier League on Channel 9. SuperSport will telecast live coverage of Indian Premier League (IPL 2018) in South Africa; all matches live streamed on the SuperSport digital platform (Website, App). Cricket viewers in the United States can watch IPL 11 on Willow TV and Sky Sports Cricket to broadcast live coverage in the United Kingdom. Indian Premier League 2018, also known as VIVO IPL 2018 is the 11th edition of the Indian Premier League. 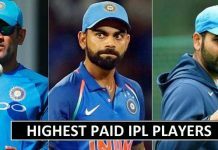 IPL is a professional men’s domestic Twenty20 cricket league competition in India, Indian Premier League 2018 is scheduled to be held from April 07 to May 27. IPL – Indian Premier League 2018 features fifty-nine matches (56 group match, two qualifiers, one eliminator and the final). 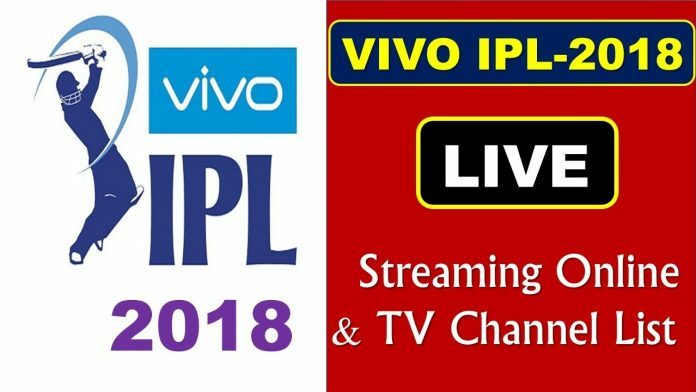 In the Indian subcontinent, VIVO IPL 2018 will be broadcast on the Star India Network that will offer the coverage in six languages – Hindi, English, Tamil, Telugu, Bengali, and Kannada. 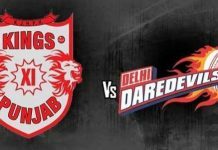 The national broadcaster Doordarshan (DD) will air some of the Indian Premier League (IPL) cricket matches, DD Sports to air one IPL 2018 match per week, with the one-hour delay. Reliance Jio has announced its Cricket Season Pack, keeping in mind the IPL 2018 fans. The special offer gives users 102GB of data just for watching live matches on mobile and also stream LIVE match for 51 days. IPL or Indian Premier League is scheduled to take place from April 7 to May 27 in India, during which 60 cricket matches will take place. Hotstar also has a special pack of Rs 299 that will let users livestream sports matches and this includes kabbadi, tennis, etc. Meanwhile, Airtel will allow IPL cricket match enthusiasts to livestream cricket matches on Airtel TV app for free. The Jio Cricket Season Pack will offer a total of 102GB data for Rs 251 for 51 days. IPL cricket matches can be viewed on the JioTV app. Once the pack is activated, users will be able to stream live matches for free on the JioTV app. “Jio is introducing a Cricket Season Pack that will allow cricket lovers to get access to their favourite live matches on mobile and stream almost every LIVE match throughout the duration of 51 days (Available at 251 only, offering 102 GB Data),” Jio said in a press statement. Apart from JioTV, IPL matches can also be viewed on the Airtel TV app for free. The telecom company has announced a new version of its video streaming app, which is available for Android and iOS platforms. Both Airtel prepaid and postpaid users will get unlimited free access to streaming of all LIVE matches and highlights of the upcoming IPL 2018 via Hotstar. The new version of Airtel TV app has a dedicated cricket section that provides curated content experience. Hotstar, the OTT app owned by Star India, has the digital streaming rights for IPL cricket matches. The company has a new special pack of Rs 299 called the “All Sports Pack” which will let users stream all sports matches live, including IPL 2018. The user will be prompted to sign up for Hotstar’s “All Sports Pack” within ten minutes of streaming of streaming of an IPL match live. Apart from Vivo IPL, the pack offers access to Asia Cup, Pro Kabaddi League, Premier League, Formula One and all Grand Slams as well.